Cooking shouldn’t kill, but 4 million people worldwide die annually from the seemingly simple act of cooking a meal. That’s because nearly 3 billion people rely on solid fuels burned in open fires or traditional cookstoves to cook each day. When burned, fuels such as wood, charcoal, coal, and animal dung create a harmful smoke that causes a range of health and environmental impacts for people and the planet. Additionally, as in a country like Cambodia, over-reliance on wood as a fuel source is one of the drivers of deforestation, and cookstove smoke often becomes ambient, releasing climate-changing gases and black carbon into the atmosphere. Overall, household air pollution from cookstove smoke is estimated to be the fourth greatest health risk in the world, impacting more than 40 percent of the world’s population. 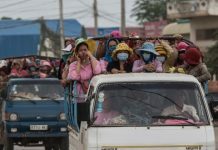 In Cambodia, this figure is much higher, as 95 percent of the population relies on solid fuel for cooking, and almost 12,000 people die senselessly each year from diseases related to the inhalation of cookstove smoke. In the Asian region, harmful cookstove smoke is the number one environment health risk. To address and arrest this silent killer, a global movement has come together to save lives, improve livelihoods, empower women, and protect the environment by creating a market for clean, safe, efficient, and affordable cooking solutions. The Global Alliance for Clean Cookstoves is comprised of more than 600 partners across six continents working to enhance demand, strengthen supply, and foster an enabling environment for such a clean cookstoves and fuels market. 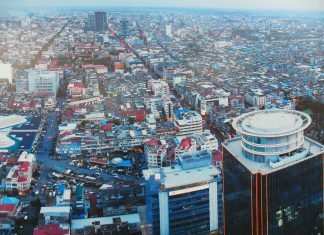 Many of those partners are here in Phnom Penh today for the start of the Clean Cooking Forum 2013: Igniting Change, Fueling Markets & Sparking Adoption. This conference will further a market-based approach to the global adoption of clean cooking solutions, and drive innovations in research, market development, standards and testing, project finance, behavior change, awareness-raising, and policy change. What happens globally in the clean cooking sector starts at the local level, and the Alliance’s partnership with GERES is reflective of this reality. GERES, which has worked on a number of sustainable energy projects in Cambodia over the last 20 years and is co-hosting the Clean Cooking Forum, just sold its two millionth Cambodia-made improved cookstove in January. And another Alliance partner, Sustainable Green Fuel Enterprise (SGFE), has just won an Alliance Pilot Innovation Grant for their work to turn coconut husks and charcoal residues into clean, green fuel for hundreds of families in Phnom Penh. It’s clear that demand is high in the Kingdom, just like it is anywhere when consumers learn of the fuel savings and the health outcomes from improved and cleaner cooking solutions, and the employment and livelihood opportunities inherent in a robust cookstoves market. 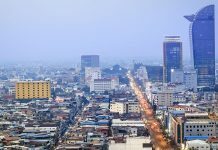 The biomass value chain at work in Cambodia—from sustainable forest management to clean charcoal production to improved cooking manufacturing—can serve as a model for the Southeast Asian region and elsewhere. There is no one solution to this multifaceted problem, but the Alliance and its partners are well on their way toward implementing a range of solutions at scale, fitting the varied puzzle pieces together to come up with the complete picture that will ensure almost half the world’s population stops cooking as their ancestors have done since the beginning of human history. We couldn’t agree more, and by week’s end, we believe the clean cooking sector will be more cohesive and more purpose-driven than ever as we work toward our collective goal of 100 million households adopting clean cooking solutions by 2020, with a vision of universal adoption by 2030. Radha Muthiah is the executive director of the Global Alliance for Clean Cookstoves. Mathieu Ruillet is the Cambodia country director of GERES.